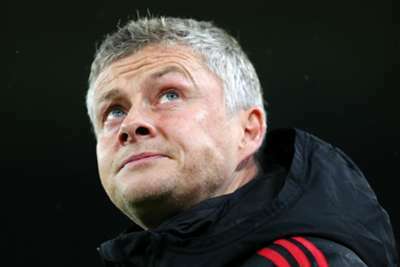 Ole Gunnar Solskjaer has no intention of drawing on Manchester United's famous Champions League win in 1999 for motivation against Barcelona on Tuesday. United are 1-0 down from the quarter-final first leg at Old Trafford last week – courtesy of Luke Shaw's own goal – and will need a dramatically improved performance if they are to progress to the last four. It will be 20 years next month since Solskjaer scored a stoppage-time winner at Camp Nou that completed a stunning turnaround against Bayern Munich in the Champions League final, sealing a famous treble for the Red Devils. The Norwegian, however, insists he will be taking inspiration from more recent comebacks on the road in European football's premier competition. United scored twice in the last five minutes to win 2-1 at Juventus in the group stage in November – then under Jose Mourinho – and overturned a 2-0 first-leg defeat to Paris Saint-Germain in the last 16 to set up the tie against LaLiga's reigning champions. Asked if he will draw on his experience in 1999 to inspire his players, Solskjaer said: "No I won't, because it was against Bayern, it was a final, it was different. "We will use the PSG match, we will use the Juventus game away, because we've beaten some good teams away from home this year and played against some great players. "We had Barcelona flustered at times [at Old Trafford] as well. Yes, they controlled the game towards the end, they had the possession, but they never really bothered us in our own half." United laboured to a 2-1 Premier League win over West Ham on Saturday but Solskjaer is quietly confident that a refreshed side will have what it takes to overcome the runaway LaLiga leaders. "I rested a few [players against West Ham] to be ready for Tuesday, but we have a decent plan," he added. "I hope it's decent. It's a plan, ­anyway. You look at the quality of those players and that gives us a threat. "We carry a goal threat but, of course, what we did against Paris Saint-Germain as a team must give everyone a huge ­confidence boost. "That experience was ­probably the best they've had for many years, and they're probably dreaming about ­another one of them again at Camp Nou." 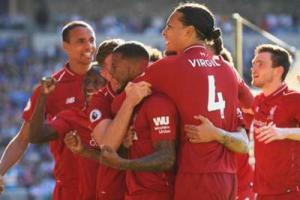 Georginio Wijnaldum and James Milner scored the goals in Liverpool's win at Cardiff City, sending the Reds above Manchester City.